A New Facebook – Kelli S. Burns, Ph.D.
A new Facebook redesign launched today (although I think they have been rolling this out gradually because my site has looked this way for several weeks now) and what follows a Facebook redesign is always an outcry from the public. I believe that Facebook always knows what we want better than we know ourselves. Remember when the news feed was launched? People doubted Facebook’s decision, but it’s hard now to remember Facebook without a news feed. What did we do? Click around on profiles? 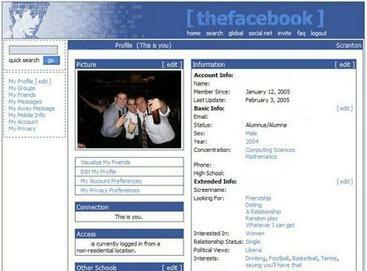 Do you remember Facebook’s 2009 redesign? I don’t. Facebook has improved the ability of users to group people into friend lists by using a “smart list” function and then control the content that is pushed to these different groups. You can also subscribe to people you wish to follow, just as journalists or bloggers without having to have them acknowledge you as a friend. You can also use the subscribe button and choose what posts you wish to make public to your subscribers. 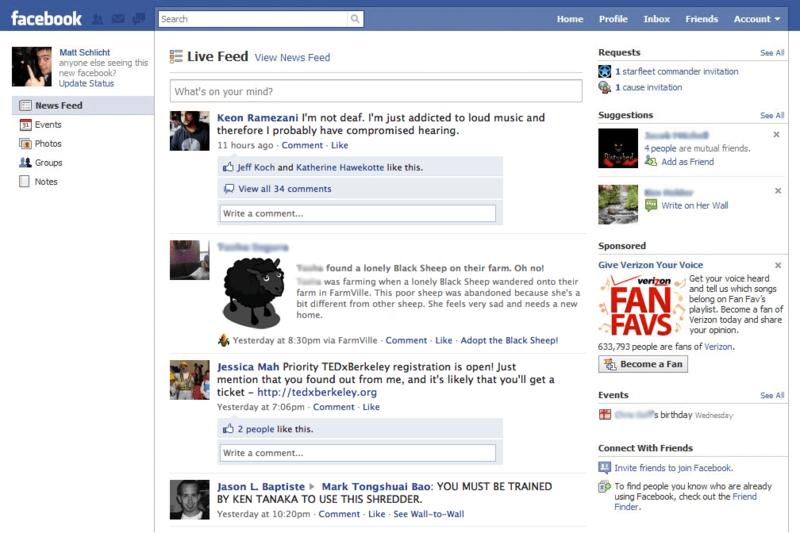 The news feed shows top stories (indicated by a blue triangle in the top right corner) intermixed with recent stories. You can control the content you receive from users on the news feed. For example, you can unsubscribe from a user’s updates but remain friends or choose to see all, most or only the most important updates by that user (default is most). If you go to a friend’s profile, you can easily choose the specific content you want to see from that friend. The default is everything. The ticker shows updates as they occur. It cleans up some of the junk that appears in your news feed and allows the user to interact with that content through pop-ups that appear when you hover over an update. More changes are coming. Facebook announced this week that user profiles will change to display what you are watching or listening to on content-sharing sites. Friends will be able to interact with that content directly from your profile.